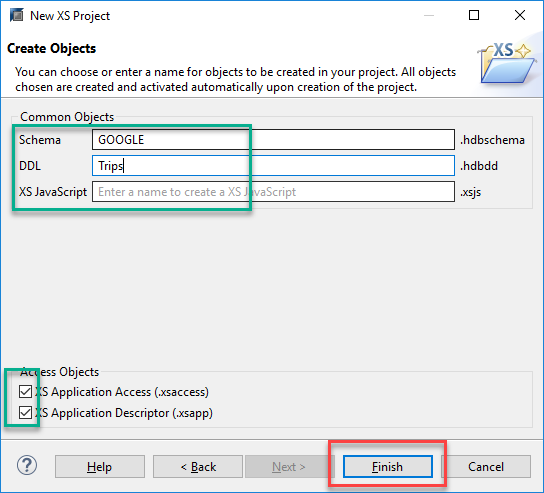 This is the second part of the series that starts with the initial post about Google Spreadsheets calling the Predictive Analytic Library in my SAP HANA Express edition This blog documents the most relevant steps towards executing the Predictive Analytic Library (PAL) and publishing it using an anonymous oData service. 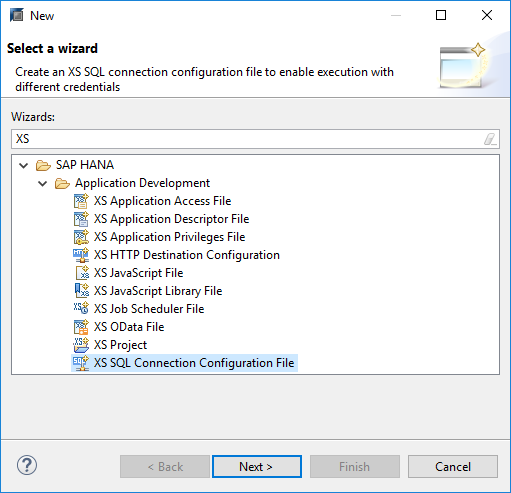 I am assuming you have SAP HANA Studio installed and have connected to your instance. While we are abiding by better practices, it’s a good idea to create a Developer user instead of using the SYSTEM user for development. 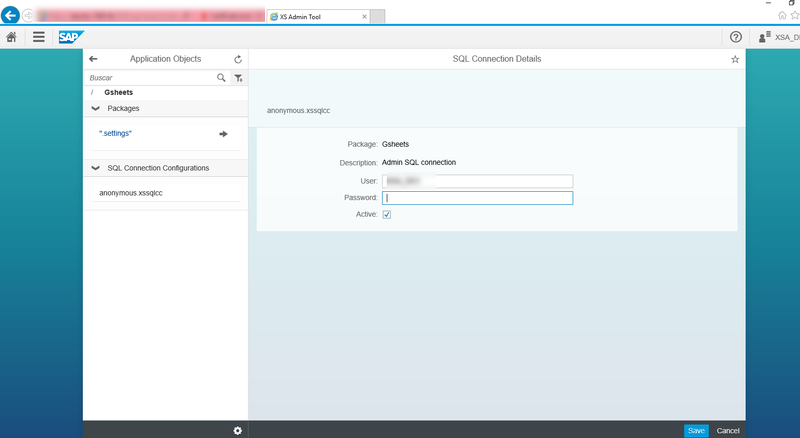 The tenant DB needs to be reachable from the outside if you want to call the oData service from a Google Script. This may imply overriding host resolution and getting a Fully Qualified Domain Name (of course, configuring your hosts file in the meantime). 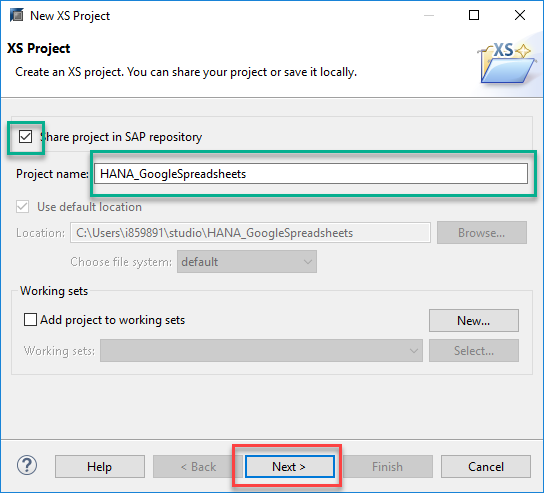 Add a Name for the Project, keep the “Share project in SAP repository” flag on and click on “Next”. Add a name for the repository package and click on Next. before you continue with development, I would advise you go into the “Repositories” tab, right click on your newly-created package and click on Check out and Import Projects. Click on the Green arrow on the top bar to Activate the artifacts. If you go into the Systems tab and into Catalog, you will see that the Entities have become tables and the joins have become Views. This is Core Data Services providing a simpler way of creating database artifacts. Moving forward, if you need to alter or move the objects you can do it from this file. In case you are wondering, the “periodConversion” table contains a translation from periods such as “2017-02” into integers, as the predictive procedure expects an integer and a double. I used the M_TIME_DIMENSION table to perform the translation between the transaction date and the period. 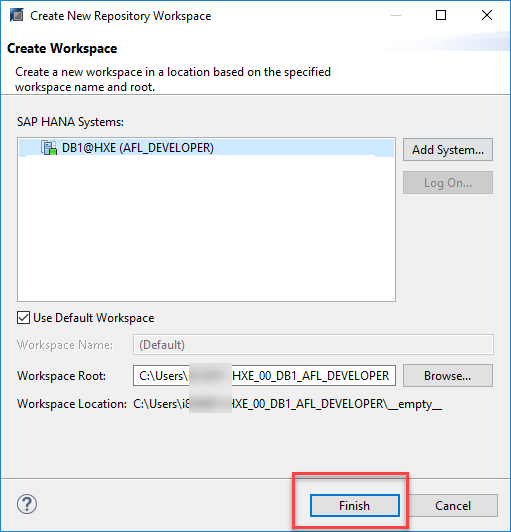 This table can be populated by going the SAP HANA Modeler perspective and go into Help-> Quick view. You can start the wizard from the “Generate Time Data” option. The tool for this is as simple as the SQL command. I strongly recommend you save the SQL file this time if, like me, you generally don’t save them. The following script uses a view) to join the transactional data from the expenses and the M_TIME_DIMENSION table. <area_name>:  Always set to AFLPAL. <function_name>: A PAL built-in function name. <schema_name>: A name of the schema that you want to create. <procedure_name>: A name for the PAL procedure. This can be anything you want. Each row contains only one parameter value, either integer, double or string. What sorcery are those many dots and colons?? 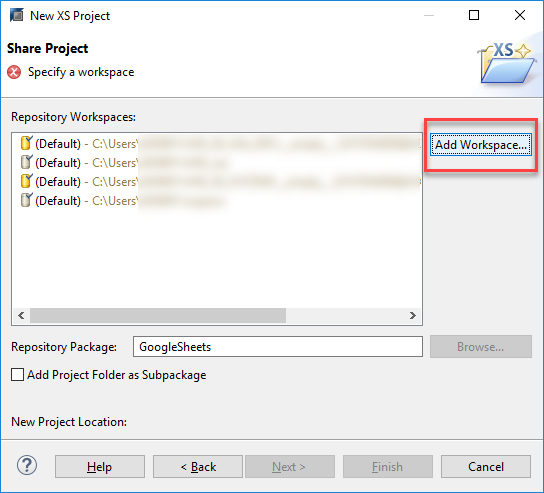 You will see that, for example, the view I created as the input for data is referenced in the code as “GOOGLE”.”HANAGoogleSheets::EXPENSES_SORTED”. “GOOGLE” stands for the schema (the same name as in the .hdbschema file). “HANAGoogleSheets” is the package as you see it in the `Repositories` tab. If this Package had been included in an existing package as a subpackage, you would need to use the full path separated by dots, e.g., rootPackage.secondlevelpackage.thisPackage. Ta-da! 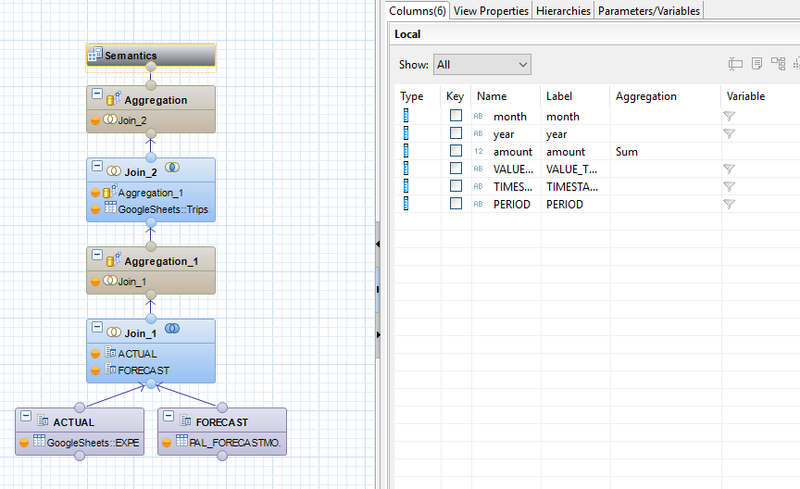 Your forecast is now in table PAL_FORECASTMODELSELECTION_RESULT_TBL. 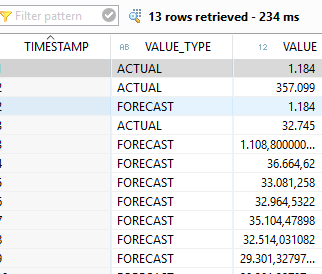 I created a calculation view to join the actual and forecast values and let HANA handle the joins and aggregations of the many transaction records we are expecting, which is what she does like a champ and in microseconds. You may choose to create a calculation view, a CDS view or even publish the results table itself. I created an anonymous oData service that will not request credentials from a user, and will use an internal user (and the roles assigned to it) instead. The steps are fairly simple. 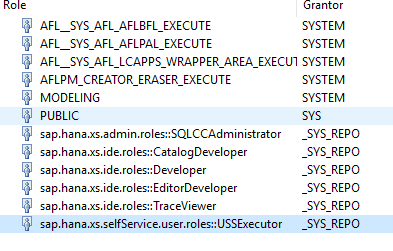 After saving, you should see a green message indicating that the SQLCC artifact is enabled for runtime application usage. You can get a more step-by-step detail if you need it from this tutorial. Now, let’s move on to the next blog and Google Spreadsheets to display our results.